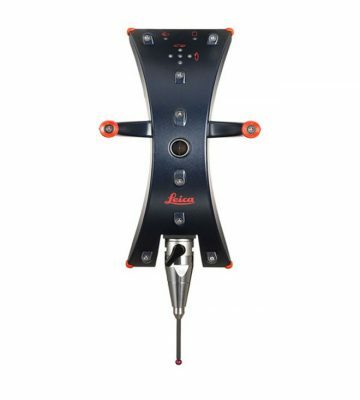 Leica T-Probe is the "Walk-Around" armless wireless device for probing of hidden, hard-to-reach points and measuring of up to 9 cars in one setup with minimal setup times, sets new standards by increasing accuracy, offering a ten-fold increase in point acquisition rate and providing user-assignable multi-function buttons. 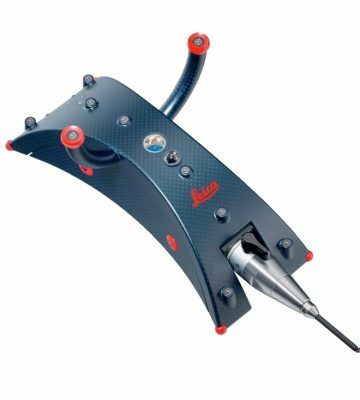 The Leica T-Probe can be used with both the AT901 and the AT960 laser trackers and offers another aspect to their capabilities. Small, light, user-friendly, and more accurate than any other hand-held probe in the world, the Leica T-Probe gives you more than 6 Degrees of Freedom: It gives you the right way to measure. Now featuring longer styli, Leica T-Probe reaches up to 60 m (196 ft) (Ø) in any dimension. It is battery-powered for completely wireless operation. For the first time in the history of laser trackers, the laser beam moves to the user, not the other way around.